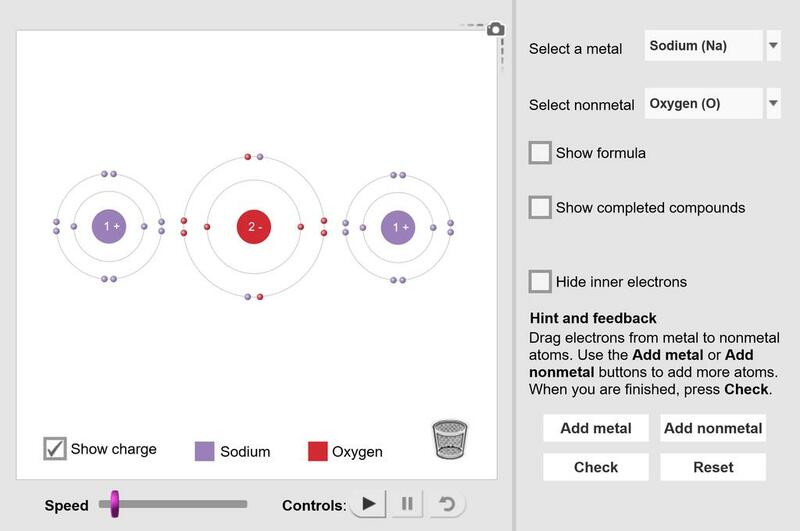 Simulate ionic bonds between a variety of metals and nonmetals. Select a metal and a nonmetal atom, and transfer electrons from one to the other. Observe the effect of gaining and losing electrons on charge, and rearrange the atoms to represent the molecular structure. Additional metal and nonmetal atoms can be added to the screen, and the resulting chemical formula can be displayed. This gizmo could cause confusion because valence electrons are not organized into lone pairs. Excellent GIZMO for Visual learners - My 2P's finally understanding ionic compounds! Excellent review for Biology 2 course.